"The ongoing joke is that fuel-cell vehicles are 15 years away and always will be," said Doug Coleman, national vehicle marketing manager-Prius family, electric and fuel cell vehicles at Toyota Motor sales. Unfortunately for Toyota, which plans to introduce its Mirai fuel cell vehicle in California this October, the joke is only familiar to those in automotive and fuel-technology circles. "The Mirai is not just a new model, but a whole new category, a whole new fuel source," Coleman said. "There are a lot of misperceptions of what hydrogen is, where it comes from and does it make sense to use." 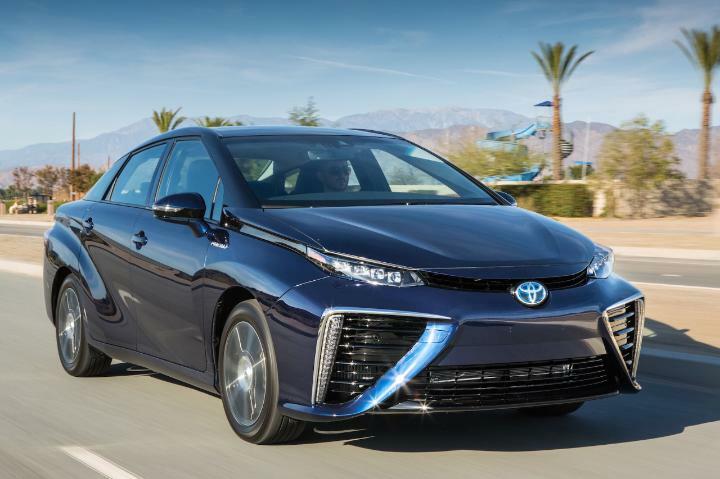 Hydrogen fuel doesn't trigger much reaction at all in many people, said Neil Heymann, executive creative director at Droga5, the agency hired last summer to market the Mirai. "At best it's complicated, for some people it's even scary," Heymann said. "Truth is, it's just not on many people's radar." So the creative shop decided to get back to basics, reminding people of the high-school chemistry lesson that hydrogen is everywhere, from water to plants, in a campaign called "Fueled by Everything." Starting today and continuing through the fall, Toyota and Droga5 will be releasing videos depicting everyday hydrogen sources and how they could potentially help them get from one place to another. The clips will live on the Toyota Mirai webpage and run across YouTube, Hulu, Forbes.com and other social and media sites. The first centers on extracting hydrogen fuel for the Mirai from cow manure. Morgan Spurlock, the documentary director behind "Super Size Me" and "Pom Wonderful Presents: the Greatest Movie Ever Sold," directed the 3-minute video, titled "Fueled by Bullsh*t" featuring a mechanical engineer and dairy farmer who take manure through the process of fueling a Toyota Mirai. "He's made a career out of this kind of style," Heymann said of Spurlock. "He's investigative, very technical and is engaging in the way he tells a story." Marketing hydrogen science wasn't much more intuitive for the agency than it will be for consumers, which was perhaps part of the reason that the manure video wound up coming first. "Our scientific brains really are being stretched with this," Heymann said. In this case, over months of planning and six weeks of production, "it kind of became a point of making this poo joke work," he said. "This was just a good one to start with -- there's a cheekiness to it," Heymann added.